Metaphorical and Allegorical Exhibition Now on!!!! 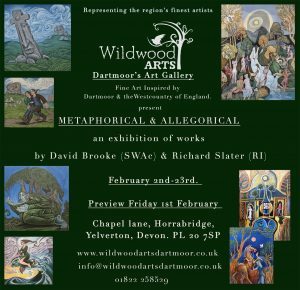 We are very proud to reopen with such a fantastic exhibition of works of two of the Southwest’s finest artists: Richard Slater (Royal Institute) and David Brooke (South West Academy) . The exhibition runs until the 23rd of February. It really is one not to miss!